Born in the Bronx, New York, and raised in East Point, Georgia, the Artist globally known as Dub Bulloh first began his music career professionally as "Double O". The name "Double O" derived from the year he began to take music serious-2000. He has a knack for sliding in a life lesson in each of his songs without losing the interest of the listener. His music is inspired by the feelings, thoughts and struggles of the everyday person that wants more out of life. Dub Bulloh's writing style and energy make the music come ALIVE right before your eyes. 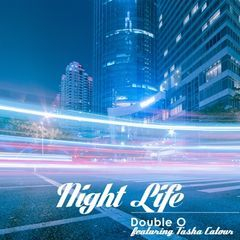 Dub Bulloh became a student of the music business and released his first professional recording in 2011. 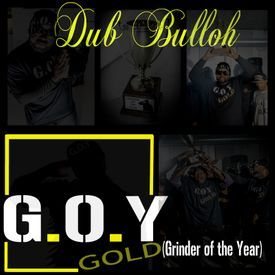 Dub Bulloh (Double O) currently has 1 Album, 1 EP, 7 Singles and over 550,000 spins on two Pandora radio stations: Dub Bulloh Radio and Double O Radio. Summer 2016 was a heated summer filled with police brutality and racial issues. In the midst of this, Dub Bulloh managed to get major live news coverage for his G.O.Y organization- watch the video on Youtube. "I had no choice, the people needed a voice, a voice to speak on the climate of Black America"- Dub Bulloh. The interview left a lasting impression on the city and on Dub Bulloh the Artist. In mid 2017 Dub Bulloh began hosting his very own radio show “Turning Music Into Money” to educate and empower independent Artists: Turning Music Into Money. Also in mid 2017 he appeared on the legendary Patti Labelle's album cover Bel Hommage. In March of 2018 Dub Bulloh went on to release his latest single "Pandemonium" which has a grew his fanbase tremendously. From Radio Show host to Music Producer/Artist Dub Bulloh is expanding his brand on a daily basis. To stay connected to the journey add him on all social media Dub Bulloh or @Dubbulloh. For the latest updates on Dub Bulloh, please visit http://dubbulloh.com.